Landscaping materials consist of much more than your standard stone, mulch and dirt. Not only are there several types of each, but there are also the materials that we use to build curbscapes, patios, retaining walls, outdoor seating areas, the list goes on. We use companies that can supply us with several options to choose from for each project. Would you like square pavers, round pavers, cobble pavers, turfstone pavers, or flagstone pavers for your sitting area? What about mulch? Are you thinking cocoa shell mulch, red mulch, wood mulch, rubber mulch, or rubber nugget mulch? Do you see what I mean? 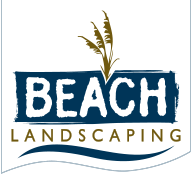 At Beach Landscaping, we want our Myrtle Beach clients to have as many options as possible so that you can truly get exactly what you want.